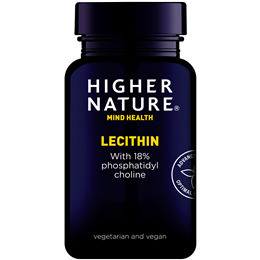 Higher Nature Lecithin enriched with 18% phosphatidyl choline which may help brain function, aiding memory and concentration. Lecithin is used by the body to emulsify fats in the liver. Many health conscious people have sprinkled Soya Lecithin on their breakfast over the years. Sprinkle the lecithin granules on cereal, cooked or fresh food, or mix into juices or soups. Great for aiding absorption of dietary fats. Contains high levels of phosphatidyl choline, important for brain function, aiding memory, concentration and learning. From guaranteed non-GM soya grown from Identity Preserved seeds. Phosphatidyl Choline-rich lecithin granules (from soya). Adults and children over 8 years: Take 1 heaped teaspoon 2-4 times a day, with a meal, or as your health professional advises. Try sprinkled on cereal, cooked or fresh food or mix with juices or soups. 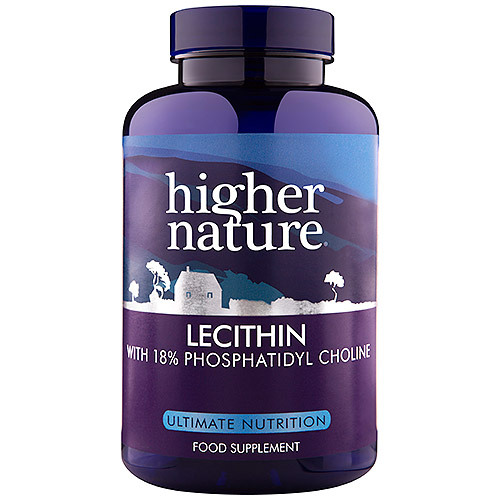 Below are reviews of Lecithin with Phosphatidyl Choline - 150g Granules by bodykind customers. If you have tried this product we'd love to hear what you think so please leave a review. Very good for the digestion, especially if you have had your gallbladder removed. It sorts out the fats in the gut and helps stop flatulence.